Suriya’s last bonafide blockbuster was Singam II (2013). As some of his films made at exorbitant budgets failed at the box office, trade pundits are doubting his potential but the actor is taking strenuous effort to return back to form. Following Singam II, Suriya acted in the commercial action potboiler Anjaan, fantasy horror comedy Maasu Engira Maasilamani, sci-film 24, Thaanaa Serndha Koottam, the Tamil adaptation of Akshay Kumar’s Special 26 and Si III, the third installment of Singam franchise. Among these five films, 24 and Thaanaa Serndha Koottam earned positive reviews but they weren’t profitable ventures to the buyers. There was a time when Suriya used to be considered as the number one star in Tamil cinema; he was ranked about Vijay and Ajith, the current generation superstars of Tamil cinema. But these consecutive failures shrunk his market value in the industry. Suriya is now experimenting by choosing content-driven films and he is also game for fancy entertainers. The actor has finished shooting for his political drama NGK with maverick filmmaker Selvaraghavan, whose films stands out from the routine mainstream Tamil films. In NGK, Suriya plays a rebel politician who works for the betterment of the common people. NGK is scheduled to hit the screens on 31 May in Tamil and Telugu. 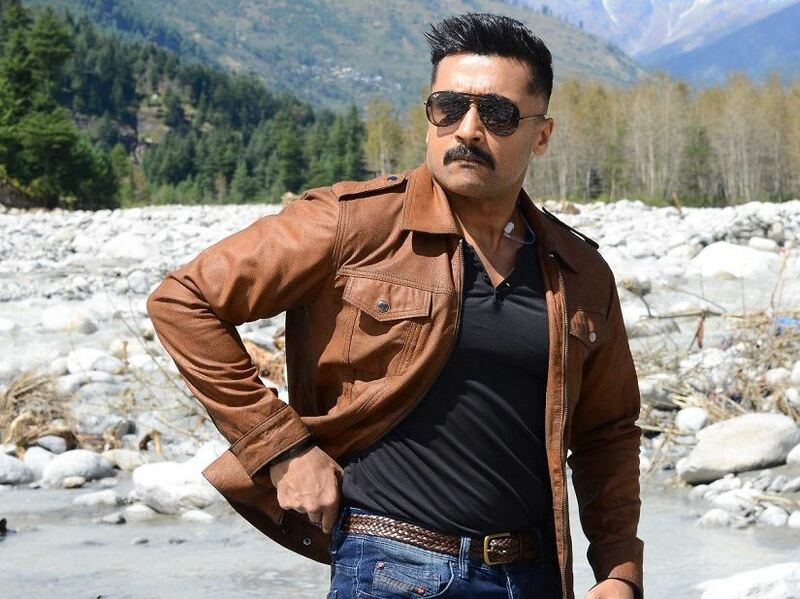 The actor has also finished shooting for his magnum opus action thriller Kaappaan with director KV Anand, who earlier delivered the blockbuster Ayan for the actor and they also worked together in Maattraan, in which Suriya played a conjoined twin. In Kaappaan, Suriya plays an NSG officer who safeguards the Prime Minister of India, played by Malayalam Superstar Mohanlal. Kaappaan is scheduled to release in August, says a source close to the team. The first look teaser of the film was unveiled on Tamil New Year day. On Monday, Suriya has also started shooting for his new film Soorarai Pottrru with Irudhi Suttru director Sudha Kongara. Soorarai Pottrru is loosely based on the life story of Air Deccan founder GR Gopinath. Jointly written by Sudha Kongara and Shalini Usha Nair, the film is being produced by the actor’s own production house 2D Entertainment and Guneet Monga’s Sikhya Entertainment. Among the current generation Tamil actors, Suriya is the first leading actor to feature in a biopic. For his role in Soorarai Pottrru, Suriya will appear in multiple looks. Sudha is planning to showcase various stages of Gopinath’s life including his army days and how he bid goodbye to his job to become an entrepreneur. The film will also capture the legal tussle faced by Gopinath, who also won Chevalier de la Legion d’Honneur award from the France Government. Usually, Suriya’s film would be filled with A-listers. From his pair to the technicians, everyone is paid a fancy remuneration as they are crème de la crème of the industry. But Sudha Kongara has only chosen real talents and not opted for big names. Aparna Balamurali, who only acted in two Tamil films, has been roped in to play Suriya’s pair in the film. Aparna will essay the role of Barghavi, wife of GR Gopinath in the film. GV Prakash Kumar, who composed music for his own heroic films, has agreed to score for Soorarai Pottrru after being impressed with the script of the film. Prakash has been working for more than a year and he is collaborating with interesting bands, including the famous Thaikudam Bridge for the film. Young cinematographer Niketh Bommi Reddy, who worked on films like U-Turn and Ee Nagaraniki Emaindi, is cranking the camera for the film and Sudha Kongara has also retained her Irudhi Suttru editor Sathish Surya. National award-winning costume designer Poornima Ramasamy is taking care of Suriya’s costumes in the film, which is likely to hit the screens by the end of this year or early 2020. As Sudha’s film and NGK will focus only on content, Suriya is all set to join hands with Viswasam director Siva for a new film to set the cash registers ringing in the ‘B’ and ‘C’ centers (rural areas and smaller towns) of Tamil Nadu.